Suddenly my wingman was in front of me with a MiG on his tail. I was on his and had two MiG’s behind me. Everyone was firing except my wingman. Home » Aviation Articles » History of General Aviation » The Korea Files 5: Four Against Seventy Seemed a Bit Ridiculous. Once you get into a dogfight, it seems as though there are aircraft everywhere going in different directions. This article marks the fifth story from Bill’s Korea Files. Click here to read part 1, click here to read part 2, click here to read part 3, and click here to read part 4. The Russians had developed a tactic which we called the “Daisy Chain.” Their MiG’s could always climb above us and it was useless to try to follow them, so consequently we set up our patrol formations at an altitude of 30,000-35,000 feet at about 0.8M (614mph) and proceeded to sweep accordingly. The Russian and Chinese MiG’s would come in from above and dive down through our formation, firing at random. By the time we could accelerate from our cruise speed, they would zoom back above us and out of reach. Although they were not scoring kills with this maneuver, they were inflicting serious damages. 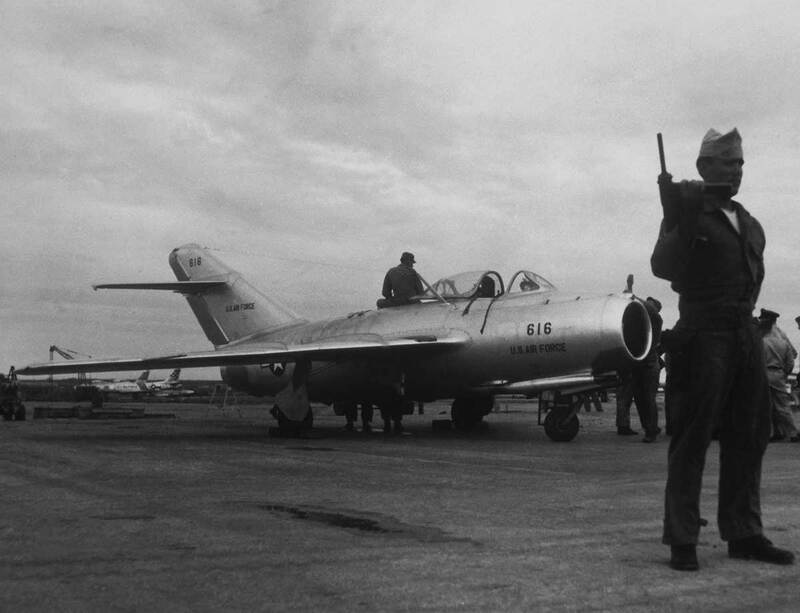 A damaged F-86 at K-14 (Kimpo Air Base), which had limited repair capabilities which meant that any non-combat serviceable aircraft were returned to Japan for repair. These losses, such as they were, forced us to re-establish our patrols south of the Yalu along the Chonju River (now called Jeonju). Of course, the scarcity of drop tanks helped facilitate this decision. A Soviet MiG-15 getting processed for flight training at Kimpo Air Base in 1953. As I mentioned in my retelling of Major Davis’ attempted rescue, it seemed as though someone in the States thought hostilities in Korea (by late 1951) had settled down and stopped ordering drop tanks. Until the message got through that the air war was still very active and they re-established the supply, we were forced to fly with just one drop tank. This, of course, limited our range and time over target. This day, our fighter sweep along the Chonju consisted of three Flights (Red, White, and Blue) for a total of 12 aircraft. After a few sweeps, the squadron was proceeding east and my Blue Flight was on the right side viewing North at the nine o’clock. I saw flashes and requested permission to leave the formation and take my Flight to investigate. Permission was granted and the four of us proceeded north. Just south of the Yalu River, I spotted 30 MiG’s as they entered the Con Level. I reported back to “The Major,” who was leading the Squadron as to my find and said I’d attack and break them up, and they could pick up the stragglers. Believing that this was approved, I told my Flight to spread out, drop their tank and when they saw me fire, to do so as well. This would give them four red noses to look at. In that we were below the Con Level, the element of surprise was on our side. With our throttles at 100%, we climbed into their formation. I sighted-in on one MiG and fired, watching the API’s (All Purpose Incendiaries) dance along his fuselage and wings. The four red noses got the enemies attention, and their formation broke up. Then things took a decided turn for the worse. I sighted-in on one MiG and fire, watching the APIs dance along his fuselage and wings. Drop tanks began falling through the Con Level as another 40 MiG’s flew in above the original 30 and high above the Con Level. Unbeknownst to us, “The Major” leading the squadron had said they were low on fuel and returning to base. It was never fully understood why that many MiG’s were flying so far south of the Yalu corridor, some with drop tanks which we had not seen before. Had our attack disrupted a possible strike on our base, K-14, which was just a little over 100 miles away? Once you get into a dogfight, it seems as though there are aircraft everywhere going in different directions and executing different gyrations. Unfortunately, in this fight, there were a lot of aircraft, and they weren’t ours. Events in a fight happen rapidly and last only seconds, although at the time it seems much longer. Suddenly my wingman was in front of me with a MiG on his tail. I was on his and had two MiG’s behind me. Everyone was firing except my wingman. He pulled a maneuver which shook him free, and I ended up flying line alone abreast with a MiG on my right and one on my left. From our cockpits, we looked at each other, trying to find an advantage over the other. I wondered which enemy pilot might be the least experienced, and guessed the one on my left wing. I made a feint to the right by dropping my right wing, which caused that MiG to break in toward me and dive away. I had guessed right. The MiG on my left was slow to react in turning toward me and trying to gain the advantage. After my right-hand feint, I broke hard left and we met head-on. Now I’m out in the open with not a single aircraft in sight. I called to my Flight and found they escaped the fracas with no damage by doing some very creative flying and were ahead of me on their way home. Fuel was now a problem for all of us and low-power gliding was in order. That evening my Flight, in a very calm manner, explained that they didn’t think we should ever do that again. Being the gentlemen that they were, there was no foul language used, but it was not difficult to feel their concern. I assured them I would be more cautious next time. The A-10 Warthog. Combat ground troops love it and Air Force leaders hate it, favoring the new F-35. What does that say about the current state of military affairs? 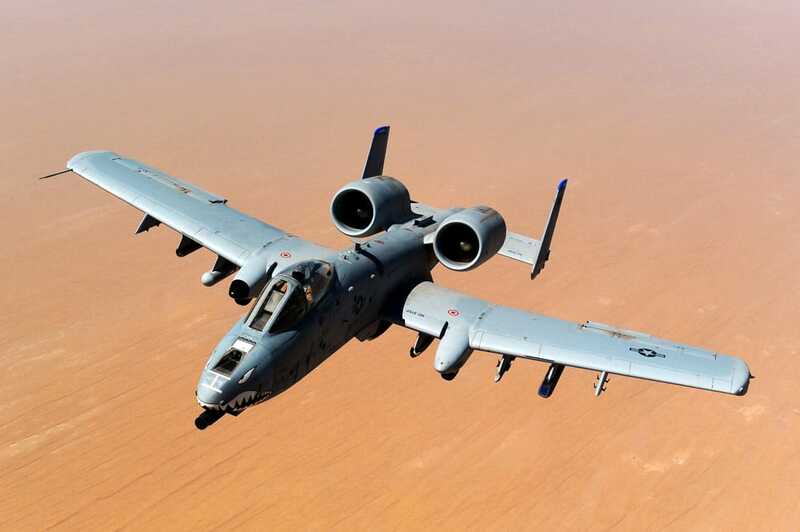 But the A-10 has a record that can’t be contested, a record going back to the first Gulf War, and that’s the reason that its retirement keeps getting delayed.